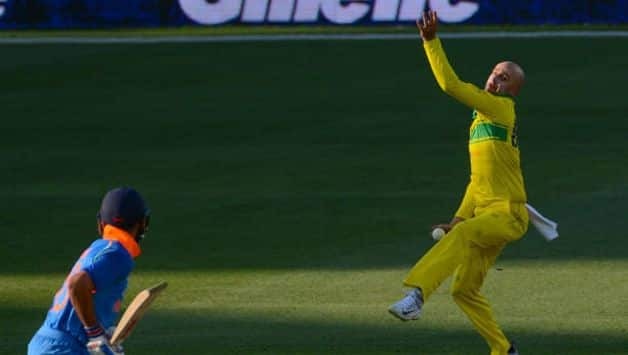 Australia spinner Nathan Lyon is hoping to lock in on a World Cup spot through his belated appearance in Big Bash League (BBL) which is at its business end now and through the limited-overs tour of India that gets underway later this month. 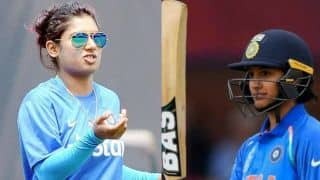 India recently recorded their first ever bilateral ODI series in Australia winning the three-match series 2-1 after beating them in the preceding Test series as well. Lyon has been named in a 16-man squad that will face India in two T20Is followed by a five-ODI series from February 24. “We get a great opportunity to play a lot of white-ball cricket before the World Cup so I think if we can go out and enjoy ourselves, make sure our preparation is right, then we can compete against the best in their conditions as well. It will be a great challenge for us, there’s no point shying away from that. It’s a great opportunity for a young side,” Lyon told ESPNcricinfo. Since making his debut in 2011, Lyon has become a Test regular having played 86 of them so far but has not quite cracked the limited-overs code. 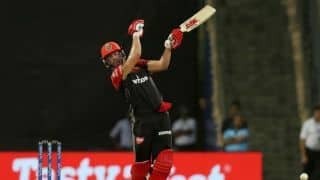 The 31-year-old will take part in BBL from Sunday for Sydney Sixers and is hoping that will also mark the beginning of his campaign to punch a ticket for England. “Hopefully my World Cup campaign, my selection, will start on Sunday. 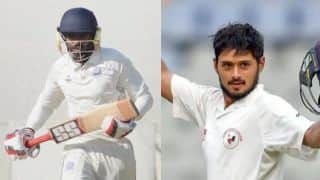 I just need to keep putting in good performances with the ball and making sure I can play my role, whichever side I’m playing in whether that’s the Sixers or Australia,” he said. Since Lyon is back in Australia’s limited-overs setup, he won’t be playing red-ball cricket for some time with the latest such encounter being a warm-up fixture leading up to the Ashes. “White ball, pink ball, red ball, it’s all pretty similar for me. No doubt I’ll have training sessions where I’ll focus on nailing my stock ball and ensuring I’m in best shape for England come the Ashes. The best possible thing for me is to keep bowling cricket balls, it’s exciting. It’s a great opportunity to create something special over the next seven or eight months,” Lyon said.